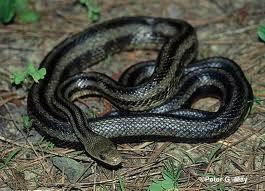 I've seen several small snakes in my yard. I hate snakes. What can I do? First, are you keeping your grass mowed and are you trimming tall weeds around your home? Heavy vegetation and grass provide a hiding place for mice and rats which may be inviting the snakes into your yard. Eliminating the habitat for this food source is the first step. Several products will repel snakes and can be applied around your home's perimeter but should ONLY be used if no snakes are present in your basement or crawl space. Otherwise, the product would trap the snakes in your home since they do not want to cross the moth-ball based barrier. Enviroguard Pest Solutions can humanely assist in catching and removing/relocating snakes from your home and yard.